» Will my car pass emissions testing? Most new cars will pass emissions testing without any hassle, with older cars you may have to file for exemptions in order for it to pass. » What is emission vs state inspection? Emissions testing is just testing how much pollution your car puts out. State inspection checks the condition of your vehicle and is a state standard for safety. » Why does my dealer offer free state inspection? Many dealerships have the policy of offering a free state inspection because they rely on being able to sell you services that you may or may not need. The most common way for dealerships to make their money back is by telling you that you need new brakes, light bulbs changed or other types of maintenance. » How much does inspection cost? State inspection is $25 and emissions testing is controlled by the state. These costs are about the same no matter where you go for service. » What financing rates do you offer? We currently offer great rates from some of our preferred lenders, here are some samples of rates we currently have: Apex* - Rates as low as 5,54% Citadel*- as low as 5,24% Sun East Federal*- as low as 5,24% Merck* - as low as 3,99% *Certain restrictions to apply to these rates. Both credit score and vehicle must meet requirements set by lender. » Where do you get your cars? We purchase our cars from a variety of sources, this includes car auctions, direct purchases from owners, trade-ins and of course sometimes we purchase cars from our clients. 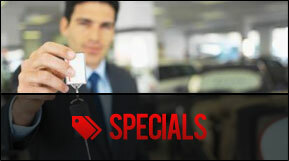 No matter where we buy the cars we make sure we are getting a great deal so that we can pass that deal on to you. » Is there a warranty on your cars? Because we do a full inspection and maintain ace check on all of cars before they are sold, we are so confident about them that we offer a full 3 month, 5000 mile warranty on all our cars. If you find anything wrong with the car simply bring it back and we will take a look at it for you. If you don´t find anything wrong with it we would still love to see you again and you are more than welcome to stop in for a cup of coffee and tell us how you like your new car. » What condition are your used cars in? All of our cars go through a vigorous inspection as soon as we get them. If we find anything wrong with the vehicle it gets fixed so that when you buy a car from us you know that everything works like it is supposed to and everything is in top shape. This is why we offer a warranty on any car that we sell. Yes we do offer financing through Harleysville National Bank, Pacco and Autouse. We can normally get almost anyone qualified for a loan on one of our used cars. Not sure if you will qualify? Then simply stop in and talk to us, the only true way to find out if you will qualify is by sending in the application. » Where is your office? When you get to our location on Reliance road we have two buildings. The larger building in front facing the street is our main reception area, simply come in the front door and make your presence known. Someone will make sure you are taken care of, be it to buy a car or get yours fixed. » How long will I have to wait till you get to my car? We do our best to get to every car the same day if at all possible. When you bring your car in we will be able to tell you exactly when it is ready, if for some reason we need more time or we do not get in the parts we make sure you to call you and keep you updated on your vehicle. » Do you offer a "loaner" car? 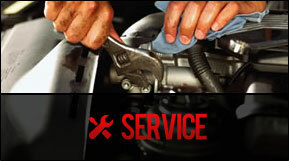 In some cases we have the ability to lend you a vehicle while yours is being repaired. 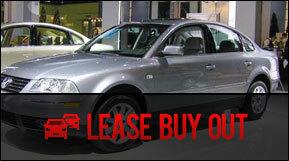 For more detail and information about our loaner program then please call us or come in and talk to us. We do our best to make sure you can still move around and get things done. » Do I get to see the mechanic working on my car? At streetvisions we believe that you should know your mechanic, that is why we will gladly introduce you to the actual person that will be doing the work on your car.